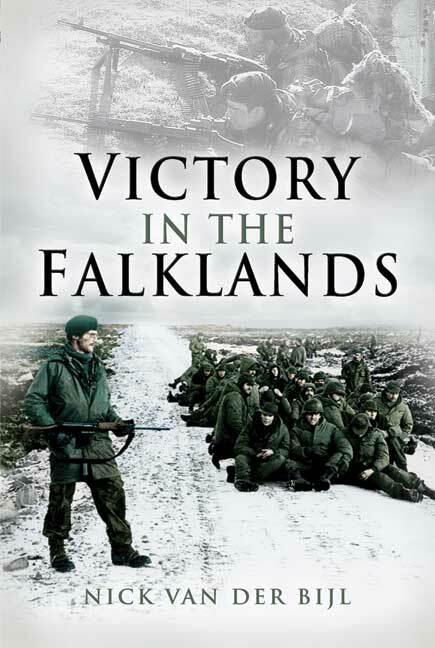 You'll be £19.99 closer to your next £10.00 credit when you purchase Victory in the Falklands. What's this? Order within the next 6 hours, 8 minutes to get your order processed the next working day! It describes the dark days of early April, the feverish response and forming of the Task Force, the anxieties and uncertainties, the naval and air battles that preceded the landings by 3 Commando Brigade and 5th Infantry Brigade. The extraordinary battles such as Goose Green, Mount Tumbledown, Wireless Ridge etc are narrated fully but succinctly. This is a very balanced overview of a never-to-be-repeated but triumphant chapter in British military history. Nick van der Bijl served with distinction in the Intelligence Corps, particularly in the Falklands. He is now retired and working on security in the NHS. He is the author of 6 books on 20th Century military history. He lives at Mark, Somerset. Surrender of Argentinian troops by General Menendez to the British Task Force in Port Stanley following the Argentine invasion of the British-owned Falkland Islands in the South Atlantic.